Before joining Amani Institute as a Social Innovation Management Fellow, I founded Mithra Trust. As a Fellow, I’ve joined Amani’s Start Up Track, which supports Fellows who are also entrepreneurs across Amani’s three locations: Bengaluru, Sao Paulo and Nairobi. As I recently founded Mithra, we do not have an office, so I take the opportunity to work out of the Amani Office on many occasions. One day, I walked in to see a new smiling and chatty woman, who introduced herself as Ilaina (Ila) Rabbat, the Co-Founder and Executive Director of Amani Institute. As I had recently lost a close friend named Ila, this name holds significance for me. When I told Ilaina, she said “I hope to be able to live up to the person, name and memory.” This meant a lot to me. Ilaina was our instructor for the 20 hour Professional Skills Course: Create and Manage a Social Venture (CMSV). As part of the CMSV course, Mithra was going to be one of the live organizations that the class got to work with. To say that I was scared was an understatement. There were four different live ventures for this class and each was represented by one of the founders or founding members. The class began with an overview of what it means to be a social entrepreneur and what it means to thrive and not just survive. The model showed the difference in thoughts, attitudes, beliefs and behaviors of entrepreneurs who thrive and the impact it has on their ventures. Ila spoke about her life too and what it has taken her to thrive and live a sustained life of meaning and impact. It was beautiful and powerful. The next big concept was systems thinking and we spent a lot of time in our groups making sure our ventures were not addressing the symptoms but the root causes. Working in teams, we used many tools from the Golden Circle, which helps participants focus on their ‘WHY’ to the Lean Canvas, which deals with everything from competitors as well as unique value proposition and revenue streams. My two biggest ‘aha’ moments were when we looked at Mithra’s unique advantage and the customer canvas, both tools within the Lean Canvas. This helped me understand my user better and how my communication up until that point was not aligned to the user. My team also provided me with insights on how to frame my mental health service’s messaging in a way that would better connect to our users. Given that I was working on my website at this point, it was directly applicable. The tools Ilaina taught us during the Create and Manage a Social Venture class helped me clarify Mithra’s messaging and distinguish Mithra from other organizations working on the same issue. What I have found most special and unique about Amani’s Social Innovation Management Program are the tools Fellows are given that can be applied immediately and as a founder the ability to see quick and impactful results. As an entrepreneur, this is deeply meaningful and special. 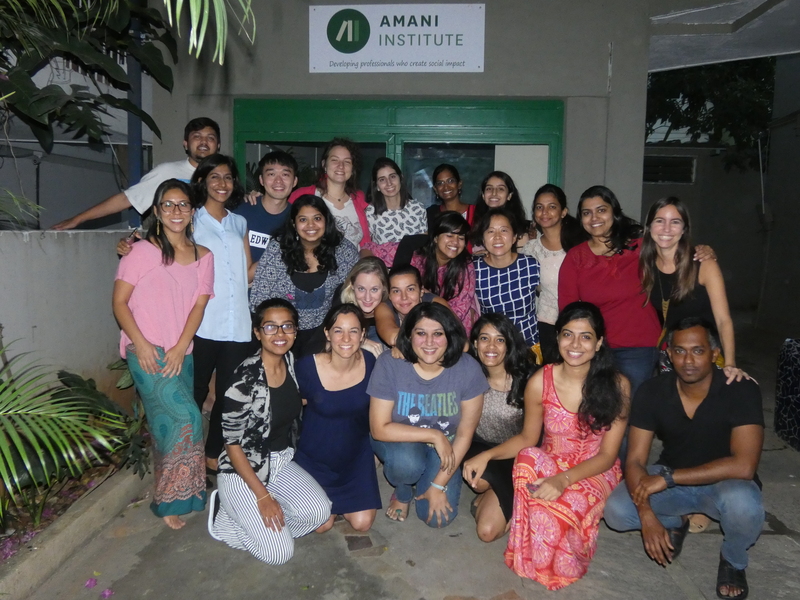 Bhairavi Prakash, the author, is an Amani Social Innovation Management Fellow in Bengaluru, India. Create and Manage a Social Venture is one of the 7 skills courses that Fellows attend during the Immersion Phase of the program in Kenya, India or Brazil.